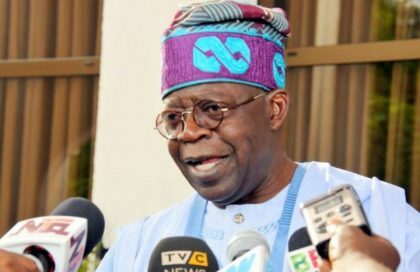 The All Progressives Congress National Leader, Asiwaju Bola Tinubu, on Tuesday, assured President Muhammadu Buhari that the party’s campaign council had accepted the assignment given to it by the president and would work for the country. “We accept President Buhari’s Assignment”, Tinubu said in a statement by his Media Officer, Mr Tunde Rahman in Lagos, noting that the council would not let President Buhari down. Tinubu also the Co-Chair of the party’s Presidential Campaign Council, said that letting Buhari down would also let down the nation. He said he had, therefore, rallied members of the campaign council with the Minister of Transport, Mr Rotimi Amaechi, as Director-General for the task ahead. He noted that the Peoples Democratic Party (PDP) should not be allowed to return to power and “return to the days where they ruled the nation like overlords”. “I think I can speak for all members of the campaign council that we accept the assignments given by the President with devotion and a firm commitment to perform to our utmost, individually and collectively on the tasks given. “It is a great honor and responsibility he has given us. We dare not let him down because doing so would also let down the nation. “We seek not only growth but also a fair and just allocation to all segments of society of the harvest of our national endeavors. “Let no Nigerian be forever trapped in poverty and despair. Let all Nigerians be given the genuine opportunity to realise their full potential and contribute to this nation and their own lives as much as their talents and willpower permits of them. Tinubu said that APC would continue to build a political economy that would well serve Nigeria long after oil revenues were no longer sufficient to sustain the nation and its ever-growing population. “We are diversifying the economy, giving basic food, health and educational assistance to the neediest among us, improving agricultural productivity so that our farmers grow more to feed for increasing urban populations and also earn more to sustain their families. Tinubu said that the character of the two candidates President Buhari and Alhaji Atiku Abubakar could not be more distinct. According to him, President Buhari is a straight and honest man. Leave a Naira on the table with Buhari in the room. You will find the Naira on the table when you return. “When Buhari says “yes” or “no,” you know where he stands. He means what he says, no more, no less. “He cannot afford a President whose ways and mind is a maze of contradicting urges and colliding desires. “This shows he has no vision for the nation and no guiding principles except the naked pursuit of power for the naked use of that power,” he said. The APC National Leader said that Atiku had his chance to shine as Vice-President when he controlled the privatization programme of the Obasanjo government. “That government had so much money at its disposal and that is exactly what it did. It disposed of the money yet failed to treat the poor or build for the future. “We should not reward him by giving him another eight years because the more he feeds, the stronger his hunger grows. Tinubu promised that the members of the APC presidential campaign council would work diligently to re-elect President Buhari. “We do this not for personal accolades. We do this not merely to re-elect a party member. We do this because it is the best thing for Nigeria.